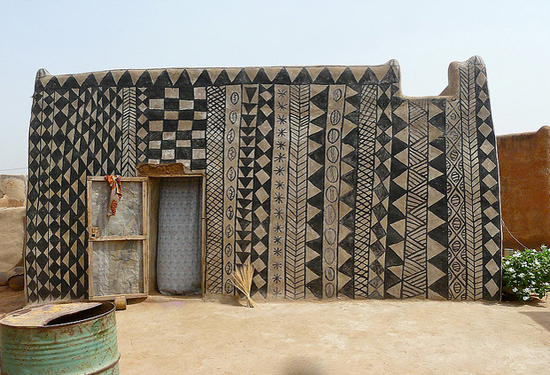 Justina Blakeny posted these stunning geometric painted dwellings from the village of Tiébélé located in Burkina Faso, West Africa this week and I just had to bring them here for inspiration. According to photographer Rita Willaert the inhabitants belong to the same family for several generations. 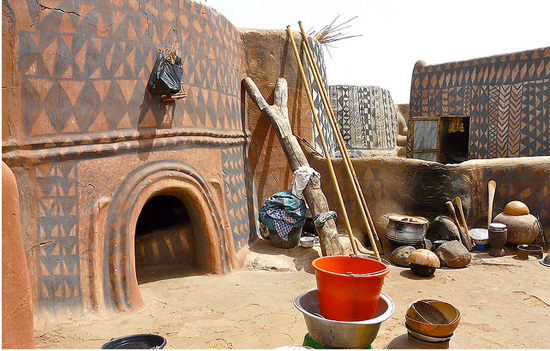 The mud houses belong to an ancient tradition, the men build the house and the women put the decorations on the walls. All figures have a symbolic meaning.Round small houses belong to young bachelors. The rectangular 'Mangolo' terrace belong to young couples. 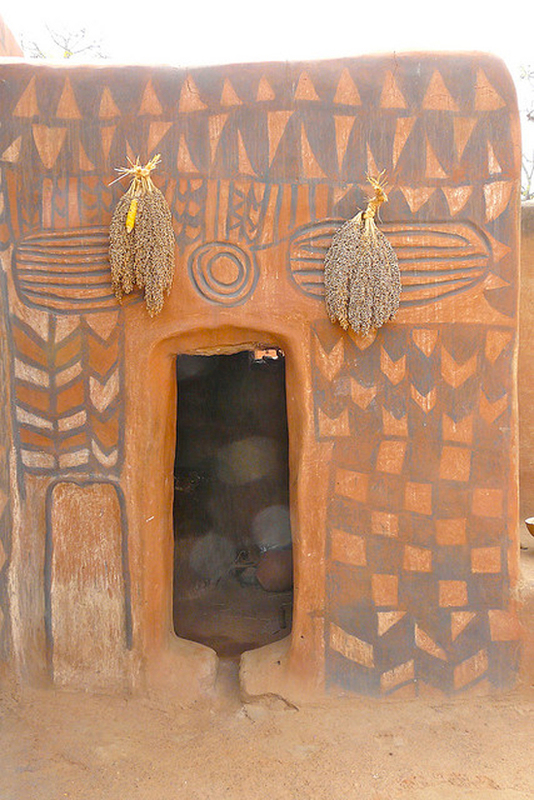 The houses' bilobees "or the 8-form belonging to the older ladies and young children. Round grain silo contemporaries are found everywhere. The whole can be tightly sealed against invasion of aliens and wild animals. these are fantastic! 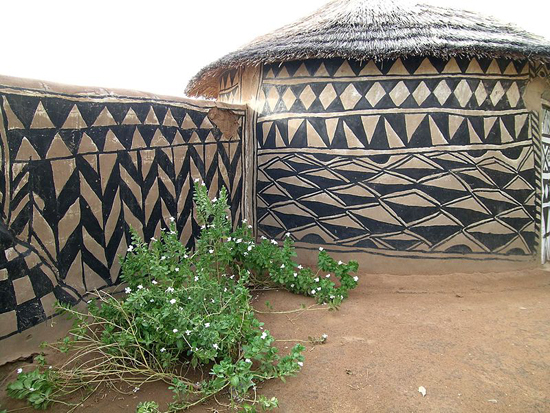 and nice to remember that our current geometric trend has its origins in something so traditional and authentic. Wow - these are incredible! So simple and beautiful... thanks so much for sharing! I really love these designs. I first came across this work in "African Canvass. The Art of West African Women" (Margaret Courtney-Clarke). The book inspired the wall paintings in my sitting room.